Alexander Gustafsson is the former two-time UFC Light Heavyweight division runner-up and the best Swedish MMA fighter of all time. 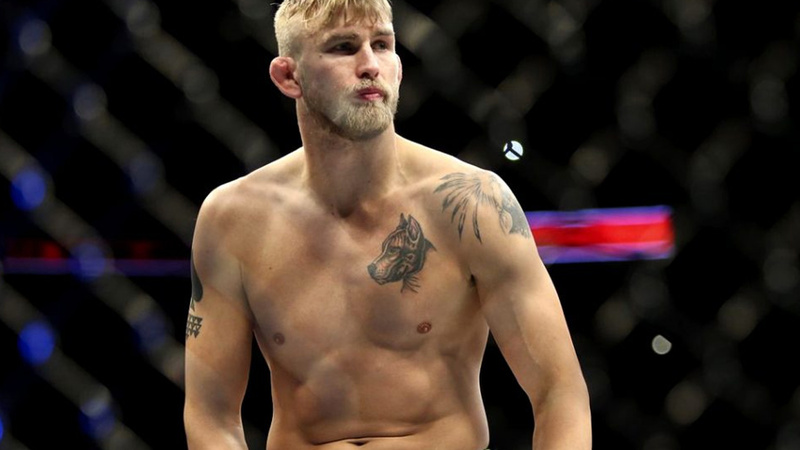 Alexander Gustafsson is currently 32 years old according to his date of birth January 15, 1987. Alexander Gustafsson is known as the first man who took Jon Bones Jones down. He has amazing wrestling and ground and pound skills. In the stand-up, Gustafsson almost never lands a kick and sticks to punches and knees. His strongest punches are right cross, left hook, and weaving overhand right. He is also known for spinning back elbow. When it comes to the clinch fight, The Mauler usually delivers uppercuts, hooks, and knees to the body. The Viking also has very good takedowns off the clinch. Gustafsson is known for an outstanding cardio. He can easily turn bad clinch position into an awesome one. On the ground, Alexander Gustafsson is one of the best transition specialists you have ever seen. It is almost impossible to mount him, and he defends like a superstar. He delivers skull-crushing punches and elbows off the top and has the ability to maintain the dominant position for a long period of time. His best submission is rear-naked choke (3 victories). Mauler’s cauliflower ears are world-wide known. He is very proud of it, seeing it as the symbol of a warrior. The Mauler holds one notable record – the latest finish in the history of UFC Light Heavyweight division. He defeated Glover Teixeira at UFC Fight Night 109 via knockout after 1 minute and 7 seconds in the fifth round. The Viking started his MMA career on November 17, 2007, when he defeated Saku Heikola at Shooto Finland: Chicago Collision 3 via second-round rear-naked choke. He earned the score of 8-0 before joining UFC. The Mauler had his UFC debut against Jared Hamman on November 14, 2009, at UFC 105, and won the fight via spectacular right cross after only 41 seconds! This was the fastest victory of his career. His next rival was Phil Davis at UFC 112 on April 10, 2010. Despite his great wrestling performance, The Mauler is defeated via anaconda choke at the end of the first round. Alexander Gustafsson then defeated Cyrille Diabate at UFC 120, on October 16, 2010, via rear-naked choke in the second round. The Viking easily won James Te Huna at UFC 127 on 27 February 2011 via rear-naked choke in the second round. Gustafsson should fight Vladimir Matyushenko at UFC 133, on August 6, 2011, but the Belarussian competitor pulled out due to an injury and Matt Hamill stepped in as the replacement for the same event. The Mauler dropped him with two world-class uppercuts and finished the fight via elbows and punches off the mount. Alexander Gustafsson ran Vladimir Matyushenko over on December 30, 2011, at UFC 141. The Mauler won via first-round TKO (punches). The Mauler fought for the first time at the main event of the evening versus Thiago Silva at UFC on Fuel TV 2 on April 14, 2012. He was at first set to face Antonio Rogerio Nogueira who pulled out of the fight due to an injury. Alexander Gustafsson remained dominant throughout the match using his reach advantage and won the fight via unanimous decision. His next opponent was Mauricio Rua at UFC On Fox 5, on December 8, 2012. The Mauler scored six takedowns and used reach to his advantage, winning the fight via unanimous decision. Gustafsson was expected to fight Gegard Mousasi on April 6, 2013, at UFC on Fuel TV 9, but he suffered a cut in the training session. Due to these circumstances, he had to wait for the title shot a bit more. 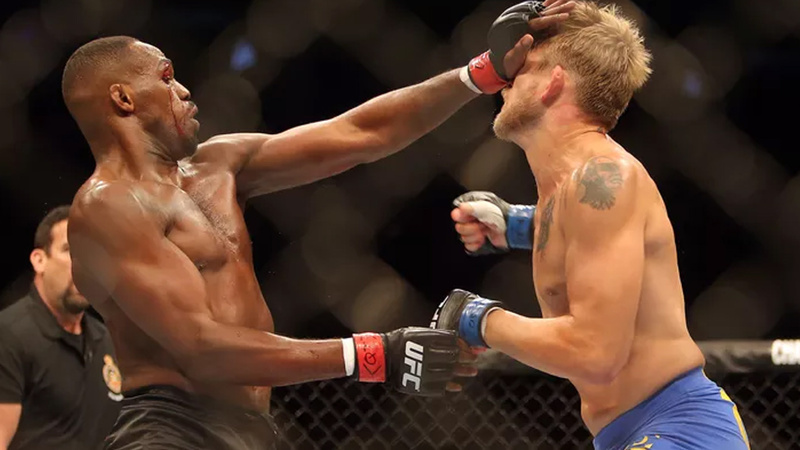 Alexander Gustafsson fought Jon Jones at the main event of UFC 165 on September 21, 2013. Despite he was a huge underdog, he went inside the cage, fought, and shocked the world! He delivered a spinning back elbow to Jones’ face, many dangerous punches, and even took him down! The Mauler cut Jones open early in the first round. The fight was even until the fourth round when Bones landed a spinning back elbow that rocked The Viking. Jon Jones won the fight via close unanimous decision, and Gustafsson was sent to the hospital after the fight. Both fighters received Fight Of The Night awards, the fight was pronounced for The Fight Of The Year, and Alexander was also honored 2013 International Fighter Of The Year. The Mauler should fight Antonio Rogerio Nogueira for the second time at UFC Fight Night 37, on March 8, 2014, but Nogueira withdraw due to an injury and he faced Jimi Manuwa at the main fight of the same event instead. 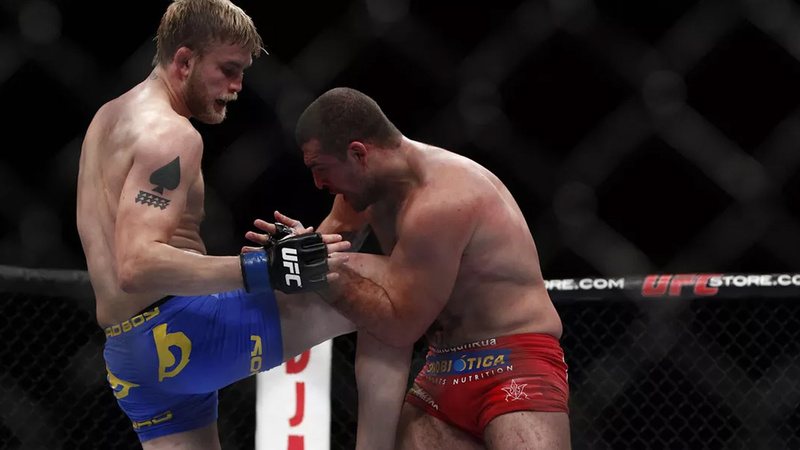 After a tremendous knee, Alexander Gustafsson delivered a barrage of punches and won the fight via TKO, winning both Fight Of The Night and Performance Of The Night awards. The two should fight in a rematch on August 30, 2014, at UFC 177, but Jones stated he “doesn’t want to fight The Viking”. The fight was rescheduled for UFC 178 but Gustafsson suffered torn meniscus and had no options but to withdraw. Alexander Gustafsson is defeated by Anthony Johnson at the main event of UFC On Fox 14, on January 24, 2015, via first-round TKO. The Mauler was planned to face Glover Teixeira at UFC Fight Night 69 on June 20, 2015, but he withdrew citing back injury. 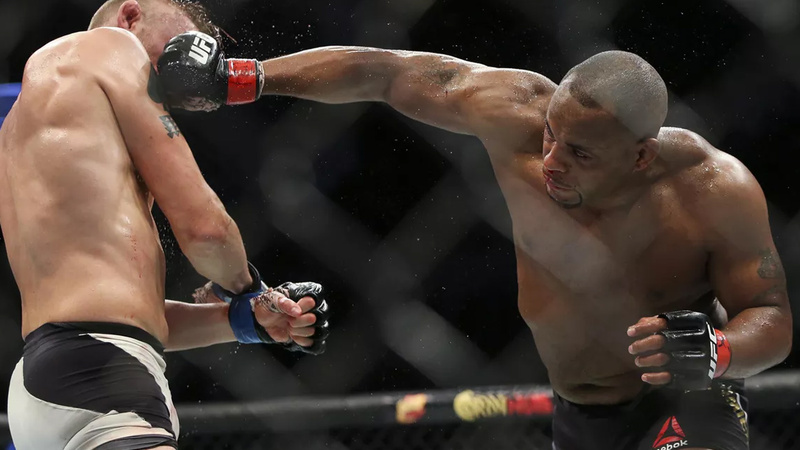 In the first place, the fight was scheduled for UFC 191, but Daniel Cormier wasn’t ready due to an injury and it was rescheduled for October 3, 2015, at the main event of UFC 192. It was a great showdown – Alexander Gustafsson took DC down two times in the second round. He also delivered a brutal knee that sent Cormier to the ground. The Mauler followed up with the punches but DC was saved by the bell at the end of the third round. Daniel Cormier won the fight via controversial split decision. Gustafsson received his third Fight Of The Night award. Alexander Gustafsson defeated Polish legend Jan Błachowicz on September 3, 2016, at UFC Fight Night 93, via unanimous decision. The Mauler failed to fight Antonio Rogerio Nogueira for the third time too. The fight was scheduled for UFC Fight Night 100, but Gustafsson cited another back injury and had to pull back again. Alexander Gustafsson Vs Glover Teixeira – Shocking Move After The Match! The two rivals finally fought at the main event of UFC Fight Night 109, on May 28, 2017. Gustafsson was dominant throughout the whole match and won Glover Teixeira via fifth-round KO. Both fighters were granted Fight Of The Night bonus. After Alexander Gustafsson finished the fight, he called his girlfriend Moa to enter the octagon and proposed her dropping to one knee! She said yes, accepted his wedding ring, and kissed him. The Mauler is scheduled to fight Volkan Oezdemir at UFC 227, on August 4, 2018. He was trying to challenge Daniel Cormier to fight him for UFC Light Heavyweight title for a long period of time, but for now, everything ends on trading barbs on social media. Alexander Gustafsson is engaged to Moa Antonia Johansson, and they have a daughter Ava, which was born in May 2017. He is a Christian. Gustafsson was sentenced to prison when he was 18-year-old due to aggravated assault. After he got out, he moved to another town and focused on MMA. The Mauler claims MMA saved his life and forced him to stay out of trouble.